So, here is some great news for all the Blackberry lovers. The Blackberry KEYone available in the UK is all ready to be purchased by its beloved users. It is reported that after a lot of delay in bringing the Blackberry KEYone available in the UK for its users, the device is finally back in stock and is available with only one retailer so far. The product is in stock and is ready to be shipped, announced Clove. This means that Blackberry lovers can order the product and receive it in a span of few days. 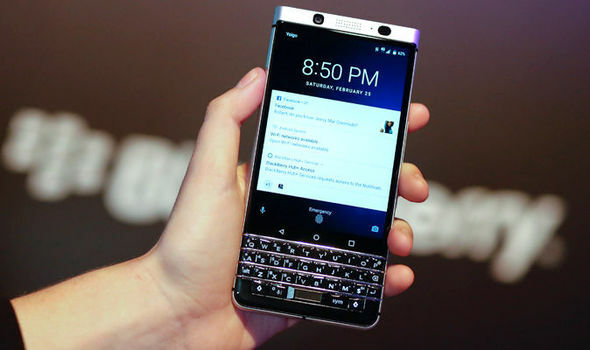 Blackberry also announced that the device will be available for its American users by the end of this month. This also ensures that the smartphone will be unlocked via authorized resellers and will be available with all the major smartphone carriers across the country. The Blackberry KEYone will be available at a price of 499 euros in the UK, the price is including the VAT. The product will available for the American citizens at a bit lower rate of just $549. The device will sport a 3GB RAM and 32 GB of internal memory which will be expandable up to 256 GB. The KEYone will also be power packed with a 2GHz Octa Core Qualcomm snapdragon 625 processor. Look wise the smartphone sports a 4.5 inch display, which is scratch resistant and also has a 1080*1620 pixels resolution and Corning Gorilla Glass 4 coating. Also the look of the North American and the European versions of the Blackberry KEYone smartphone will be exactly the same. The Blackberry KEYone available in the UK is with only one retailer at such a great price, Blackberry lovers must pull up their socks and grab one soon. BlackBerry DTEK60: Can Compete with Pixel and iPhone 7?